Enjoy up to 9 cards in a bingo game with a difference. Win on lines, full houses and special patterns that change each game. Play with friends and share credits. 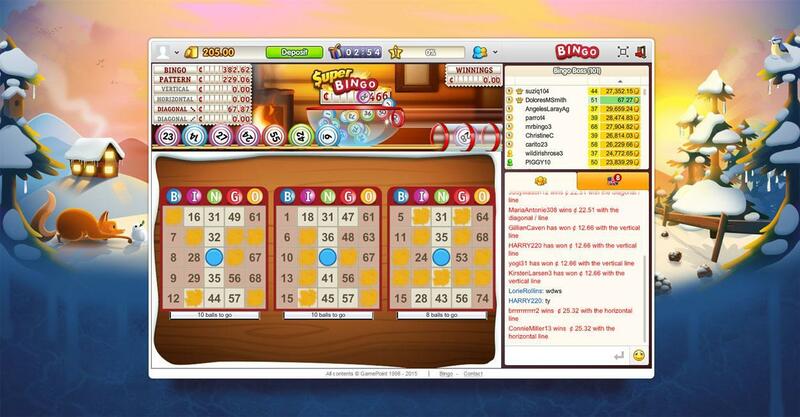 Gamepoint Bingo is a Facebook based bingo game that goes back to a more classical style to give its players the addictive traditional experience and it certainly succeeds in this task as this is the kind of game that can be incredibly difficult to let go of once you fully get into it. When you start off the game for the first time you’ll be taken into a practice game that acts as a tutorial and is designed to teach you all the necessary basics of the game. The tutorial covers up all you need to know and the great thing is that it’s pretty concise so you’ll be taught all the crucial aspects of the game within a matter of minutes which is great as your experience won’t be hindered much. Once you’re done with the tutorial you’ll be taken straight into the lobby where you can choose what room you want to play in and even chat with players from around the world. 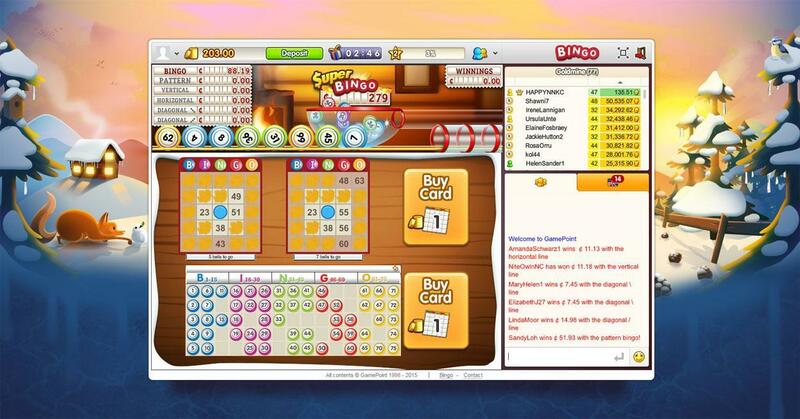 The gameplay of Gamepoint Bingo is pretty much exactly like the traditional bingo games which is great as the formula for these games works out quite nicely because it’s simple and really easy to get into. Before getting into each bingo session players will be asked to purchase the cards required to play. The amount of cards that you can take into a bingo session depends upon what room you joined. The minimum number of cards is one and the maximum number of cards is 15 which is a pretty hefty amount and will allow you to reach those bingos a lot quicker. The great thing about this game is that it has the auto-mark feature that’s become common in most bingo game nowadays. What it does is that it automatically marks the called out number on your cards if it’s there which makes playing a lot more convenient and easier especially if you’re playing with a lot of cards. There are tons of rooms to choose from in the game and each room has its own prize distribution settings and card limit. Due to the variety of rooms the game makes sure that players can find one that fits their preferences and likings perfectly which leads to a much more enjoyable experience. Going into visuals, this is a pretty neat looking game. The playing area looks really clean and is quite pleasing to look at. The overall user-interface of the game has a really solid and minimalistic design which makes it really easy on the eyes. There’s not much else to say about the game as it’s after all a browser based bingo game but it should be pointed out that it its presentation has been executed with perfection. As for micro-transactions, you’ll be able to buy gold coins in Gamepoint Bingo. Gold coins are the standard in-game currency and they’re used to enter rooms and to purchase cards to start your bingo sessions. 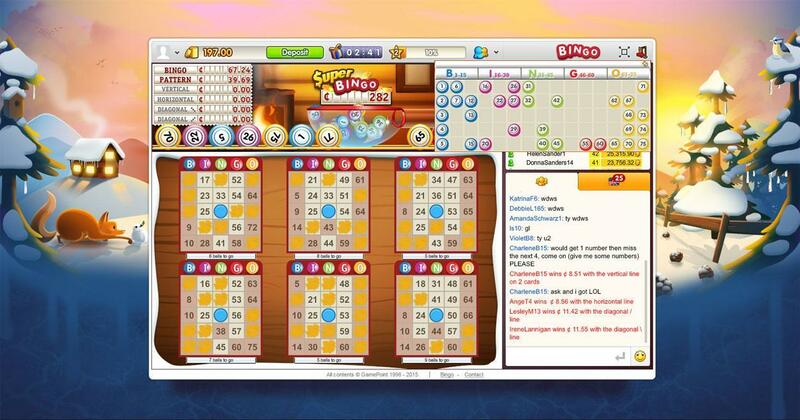 Gamepoint Bingo is a fantastic bingo game with addictive gameplay and is capable of keeping anyone entertained for long periods of time.